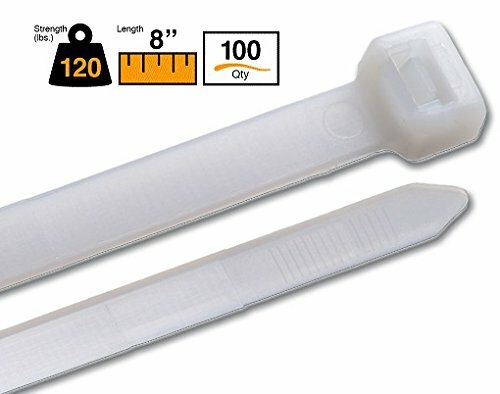 Premium Light to Heavy Duty Self-locking Nylon Cable Ties BuyCableTies is the US leader in cable ties and connectors. These heavy duty ties have a 120 lb strength and are available in length from 8" to 18" with a choice of 8 colors. Our Nylon cable ties are lab tested for functionality and quality and are resistant to rust, corrosion, outdoor weather and UV rays. Self-locking ties slide in easily and stay locked. -- Designed to temperature variations from -45F to 185F. Buycableties is a leading US manufacturer of cable ties, wire ties, and zip ties. All products are proudly made in the USA. One Year Guarantee against workmanship and defects. If you have any questions about this product by Buycableties, contact us by completing and submitting the form below. If you are looking for a specif part number, please include it with your message. AFB Bronze MERV 6 15x20x1 Pleated AC Furnace Air Filter. Pack of 12 Filters. 100% produced in the USA.